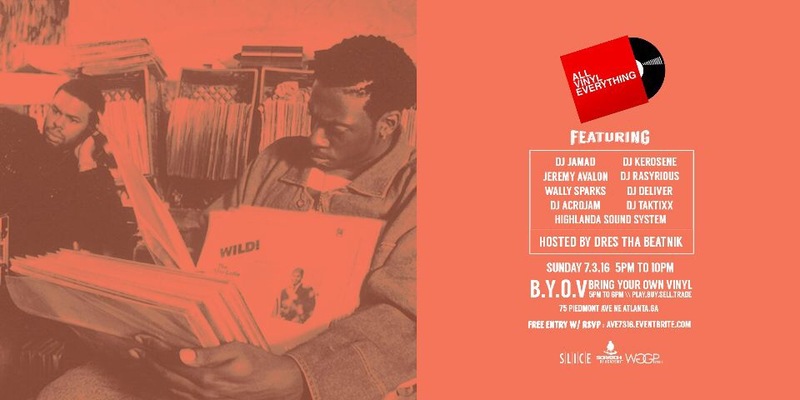 Come out this Sunday for the All Vinyl Everything 4th of July weekend edition at Slice Piedmont located at 75 Piedmont Ave. from 5-10pm. No laptops, CDs, or controllers. Only real DJs spinning real vinyl! Vinyl collectors: You are invited to Buy, Sell, Trade and Play your own vinyl from 5-6pm. Brought to you by WGGP Events + Scratch DJ Academy. 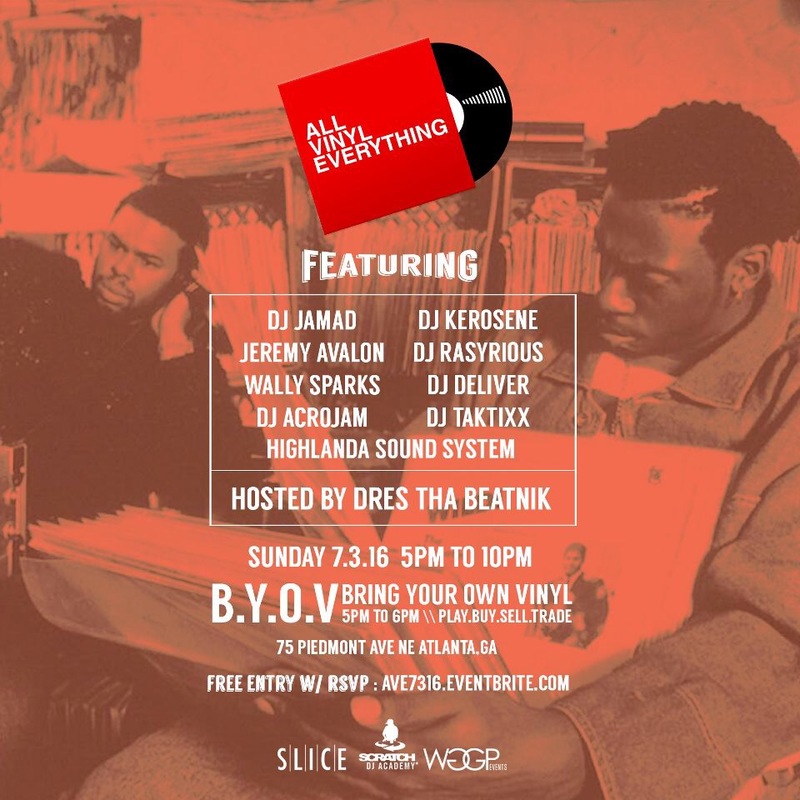 Follow @allvinyl and #AllVinylEverything for updates.